In other words, you may not be able to control everything in your life, but you can control everything that you consume. Having a natural health mindset can ensure that you not only achieve physical wellness, but that you are also unconsciously happy and content with the life you lead. Do you think about your skin when choosing products from the store? Do you read the labels to see what added chemicals are getting up close and personal with your skin? Do you pay attention to how the products you choose are affecting your skin’s appearance and touch? It is completely natural for mothers and their newborns to experience any number of issues when breastfeeding, from latching problems to poor milk supply, but many do not realize that these may be linked to even large issues. One of the most significant is called TOTs, or Tethered Oral Tissues. Here at 1st Step Family Wellness, Dr. Jeanne and Dr. Ryan Sandheinrich want to ensure that your family stays well-informed about such challenges, including how to identify if your child is Tongue Tied and what you can do to help them live a healthier, more comfortable life. TOTS, or Tethered Oral Tissues, may occur when the thin portion of skin under a baby’s tongue limits movement of the tongue and/or when movement of the mouth is constrained by the upper lip being anchored to the gum. Ladies, we all have this one friend that we both love and hate. She’s always cranky, slow and almost unbearable at times, but you continue to make the best of all the pain she may cause from month to month with chocolate and ice cream, heartfelt romance movies while snuggled in odd positions on the couch, and long hot bubble baths. You know exactly which frenemy I’m talking about – the saboteur of your baby box – your Aunt Flow, queen of the crimson wave. Our senses are what guide us through everyday life. Keeping us in tune with ourselves and the rest of the world. Yet, occasionally our sense of taste, smell, touch, hearing or sight becomes misguided by something physical or environmental. It could be anxiety that spawns from family life, work responsibilities, or the effects of depression. It could be seasonal allergies or irritation from the tag on your new shirt. Or you maybe a picky eater, find it difficult to focus with surrounding ambient sounds, and have pain in your hands from repetitive tasks. While such things are usually temporary for many of us and easily treated, the STAR Institute has previously found that approximately 16% of children (ages 7 to 11 years old) have a unique disorder called Sensory Processing Disorder (SPD). It is unclear what percent of adults are diagnosed with SPD, considering that many times SPD is overlooked and misdiagnosed as ADD/ADHD, autism, Asperger’s, depression, or another mental disorder. 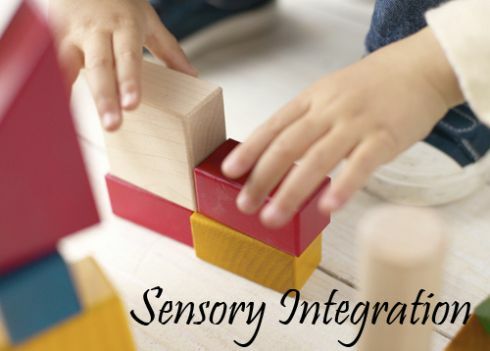 This makes it important for individuals and parents to be able to recognize what everyday symptoms are associated with the disorder, and what steps may be taken to help them find greater sensory balance in everyday life. Sensory Processing Disorder (SPD) is a neurological problem that causes disruptions and over-stimulations in the sensory areas of your brain; which in turn impairs your ability to respond, process, and organize daily sensory information. This not only includes the five senses you were taught throughout upper elementary school and middle school, but also the most significant elements of your sensory processing system – the vestibular and proprioceptive systems – that you most likely have never heard of if you’ve never studied anatomy at some point in your life. The vestibular sensory system is in your middle ear and is what balances how your sense of smell, taste, sight, hearing and touch interact with themselves and the space around you. Meanwhile, the proprioceptive system controls the reactions, sensations and motions of your joints and muscles that may become imbalanced or disoriented. In other words, it’s what controls each of your body parts and is your physical awareness. Studies have found that Sensory Processing Disorder can often develop when, if, and how a child has successfully reached primary developmental milestones. If the senses are underdeveloped, such as with infants in the first four-months of life, then what is called the Moro reflex may become activated. By definition the Moro reflex is losing partial or full control of your body – the same feeling you get when you have a shiver up your spine, or are startled by a person or unexpected sound. If these milestones are not readily developed and practiced, then they remain under-developed throughout our lifetime; often increasing the likelihood of being more stressed, depressed, introverted, under-achieving, anxious, and unhappy on a daily or consistent basis. In addition, other common factors have been found to also contribute to the 16% prevalence of SPD in children and adults. The physical and social environments that surround us have a direct effect on our growth and evolution as individuals, such as a heavily polluted city or a neglectful and hateful family life. It also includes the type of labor and stress-level of your child’s birth; such as natural, medicated, cesarean, and any correlating problems before, during or after. In addition to the elements of your DNA, the primitive nature retained from our ancestors, and spinal misalignments that affect your joints and range of motion can also cause Sensory Processing Disorder. The evidence of your child having Sensory Processing Disorder is likely to be different from the signs another person with SPD has, however it is likely that – depending on the affected sense and area – all signs are severe across the spectrum. Not only is it possible for only one or all five of the senses to be over- or under-stimulated, signs may appear at different times in one’s lifetime. Touch: Social anxiety, poor concentration, poor academic grades, aversion to touching others or craves a need to be touched, overly-controlling, easily irritated, hates being dirty or messy, can’t sit still, uses mouth to explore objects, and poor dexterity. Smell: Excessive food or environmental allergies, often smells objects or other people, does not like new objects due to odd smells, and poor behavior or health around certain chemicals. Taste: Picky towards many foods, show signs of pica, and problems eating. Auditory: Becomes easily angry or irritated towards certain sounds, makes particular and repetitive sounds towards technological or other environmental noises, has issues following directions, hypersensitivity, consistently messes with ears and speaks loudly, little or no vocalization, and difficulty understanding speech. Visual: Poor hand-eye coordination, visual pain or discomfort, consistent headaches, problems reading by themselves or in-front of others, difficulties walking up or down stairs, etc. Vestibular: Dislikes certain physical or environmental movements, likes watching repetitive movements (such as fans), issues reading and writing in cursive, poor listening skills while active, poor balance, motion sickness, or consistent and violent head banging. Proprioception: Has a need for physical contact, dislikes having their head touched, sleep problems, inability to keep eyes closed for lengthy periods of time, sleepwalking, restlessness, need to be covered by heavy materials, dislike of team sports, poor math skills, extreme clumsiness, and so on. When your vestibular sensory system is out of balance with one or more of your senses, it is directly linked to a physical imbalance or stress in your upper neck. Thus, if you are injured, sick, stiff or stressed your Moro reflex becomes activated and your nervous system goes in overdrive. If left untreated, this begins to reduce the support, stability and strength felt throughout the rest of your body. It is something you will easily recognize, due to the overall discomfort it brings, and will need to sway you towards effective at-home and chiropractic treatments. Before taking matters into your own hands, it is best that you speak with your general physician and licensed chiropractor about your symptoms and the right treatment options for you or your child. Generally, it is important that you practice a consistent stress-free lifestyle that keeps you mentally and physically active, to ensure that your sensory pathways remain strong and well-balanced. This includes stretching and exercising daily, particularly in the morning after you wake up to open and re-align your body from the day and night before. Many practice tai chi, yoga and/or meditation, take moderate outdoor walks or runs, body-strengthening exercises, hula-hooping, dance, and any other strong therapeutic movements. While also eating well, like reducing or eliminating sugar, artificial ingredients and caffeine. I know, the latter may seem impossible! 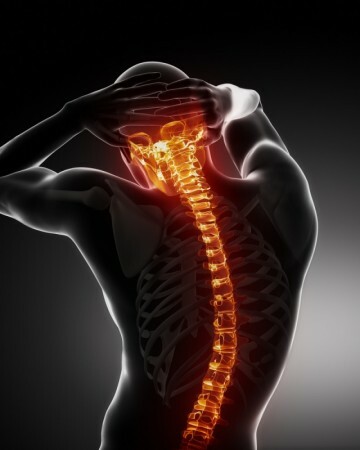 You will also want to schedule a session with your chiropractor, like Dr. Ryan and Dr. Jeanne Sandheinrich of First Step Family Wellness in Kirkwood, Missouri; who will be able to tell you which receptors (electrical impulses) in your cervical spine are being negatively affected, reducing your control and increasing your discomfort. Having regular chiropractic adjustments to fit your needs will effectively rebalance your seven senses and gradually improve your sense of control in your daily life. Since mid-2013, Dr. Ryan and Dr. Jeanne of First Step Family Wellness, have successfully treated individuals of all ages suffering from general pain and discomfort to disorders like Sensory Processing Disorder. If your main complaint is an over-abundance of allergies, consistent headaches or migraines, and neck or back pain; then Dr. Ryan uses his chiropractic skills to help your body heal and re-balance itself. Alternatively, if your child suffers from similar issues or has shown any of the symptoms discussed above, then Dr. Jeanne uses her expertise in chiropractic care and acupuncture techniques to balance their sensitive sensory pathways. If you spot SPD symptoms in you or your child, come visit us at First Step Family Wellness in Kirkwood, MO today to start living a more balanced and content life. For most households, the turkey has been carved and served, and it’s time to plan for the next holiday. Be it planning for a party, searching for that perfect gift or prepping for the next family meal, the holidays tend to put pressure on a person. The stress we feel during this time of year can stem from a couple of different places. One example is when we try to meet or exceed our own or others’ expectations. Those expectations can be created from what we see on TV and social media, from warm memories of a previous holiday, or from our faith community. A poll by the American Psychological Association has shown that during the holiday season, 69% of people are stressed by lack of time and money. The other 51% are stressed from the pressure of giving and getting gifts. For a time that is supposed to be “Merry”, there is a lot of stress associated with it. Stress symptoms may be affecting your health, even though you might not realize it. You may think illness is to blame for that nagging headache, or that neck and back pain you just can’t rid yourself of. But stress may actually be the culprit. Stress can negatively affect your spine, it causes the muscles in the back and neck to tense, which can cause the vertebrae in the spine to shift. This shift can potentially cause subluxation or nerve interference. 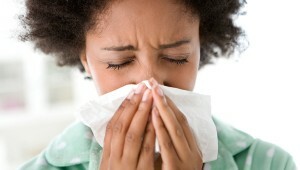 The symptoms are those of common illnesses, such as a stuffed up or runny nose, or difficulties with digestion. Stress symptoms can affect your body, your thoughts and feelings, and your behavior. Being able to recognize common stress symptoms can give you a jump on managing them. Stress that’s left unchecked can contribute to many health problems, such as high cortisol levels leading to weight gain, sleep interference, metabolic disorders, gastrointestinal distress, heart disease, and many more. With the average person having a modest amount of stress on any other day of the year, try not to add to it this holiday season. Most people these days use Facebook, take advantage of the “Events” option on Facebook. You can easily create your holiday event and invite those who are on Facebook, this will limit the time needed to reach out to everyone individually. Using a Facebook Event, you will be able to see all who has accepted your invitation and not frantically scrounging around looking for the random names you have wrote down throughout the house trying to get an accurate head count. A second option using Facebook, is the fan page or create a group. This allows the invited guest to post onto the page regarding their attendance, what they will be bringing, or if they will bring a guest with them. With creating a page, you are able to post image or document with the menu items and a list of what is needed for the event or other areas you need assistance with. Using your smartphone or other forms of technology, create a shopping list. 51% of people are stressed from giving and getting gifts, ease your stress by first creating your budget. Figure out what you can afford and what you want to spend this holiday season and stick with it. Then find an app that you like the best and create your shopping list. There are many apps out there such as: Santa’s Bag, Gift List, Gift Plan, and more found at iTunes. Available for Androids are Gift List Manager, Christmas Gift List, and more. Check out which one is best for you and start your holiday season off with as little stress as possible. Technology can be very useful during your holiday season, but don’t let it become a stress factor. Overstimulation can become stressful; time spent in front of Facebook or on your phone is time that can be more productive elsewhere. Having your smart phone at all times can become stressful when you are making yourself available to be contacted at all times of the day and night. Set time limits on your phone, it may be hard, but stress is harder. Try to pick a specific time when you turn your phone off for the evening and focus on the more valuable aspects of life. If you find yourself constantly scrolling on Facebook, maybe just send your holiday greetings and see you next years instead. If social media is adding stress, take a break from it. It will be there when you get back. The shadow side of this period of light and hope, is darkness and despair. Many people fall into darkness at this time of year. Adam Anderson, Ph. D., associate professor of psychology at the University of Toronto, has hypothesized, the effect media has taken on those during the holiday season. With the joy and cheer flaunted throughout the commercials and shows, this can trigger those who are lonely throughout the season. A Canadian study of patients that had received emergency psychiatric care during the holidays, found that the most common stressor was the feeling of being alone or not having family. The feeling of melancholy during this time is not uncommon. Below are a few causes of holiday depression. Family-Related Issues: Some people rarely see their families outside of the holidays, which may make this particular season a little more difficult to deal with than others. Spending time with parents, siblings and other relatives can cause tension in some families, and the anxiety of these get-togethers can also be a trigger for depression. Loneliness: While some are experiencing family issues, other people have trouble during the holidays for the opposite reason. Not being able to spend time with loved ones due to financial constraints, distance, or other reasons can cause severe loneliness during the holidays. Also, those who have family members or friends who have passed away may miss them even more during special times like the holidays. Unrealistic Expectations: Some people get overly excited about the holidays, but when the reality of the events set in, they may find themselves disappointed with the actual outcome. Whether it’s holiday parties not being as much fun as hoped for, loved ones not getting as excited about their gifts as you’d hoped or other bad experiences, the sadness of a holiday season sometimes doesn’t match up with an individual’s idea of what a picture-perfect holiday season should be like. Think of a pressure cooker when thinking about stress. Your feelings are building up with the pressure of the holiday and you need to release steam before the whole thing blows up. The best step to de-stressing is to recognize when you need to take a breather and step away for a moment. Try stepping away for 5 minutes, make a list of three things you’re grateful for and focus your energy on those three things and why they are important, how they came to be in your life and what makes them so special to you. Researchers have found that gratitude has both physical and mental health benefits. Use these helpful tips to make this holiday season stress free and enjoy what the holidays are about. This is the time to be joyous and merry! Posture: What is it, and what really affects it? Posture. It’s something our mothers ragged on us about from the time we were small children. How many of your moms told you, “If you don’t stop slouching you’ll grow up to be a hunchback”? Being told continuously we need sit up straight, or to stop hunching our shoulders, seems to almost be a right of passage from childhood to adulthood. So is there really something to this whole posture thing? Is it really that bad for you? Or is somewhat of an old wives’ tale? Posture is defined as: the position of the body or the position of several parts of the body with respect to each other for a particular purpose. Posture is not, regardless of what we have been led to believe, simply a matter of sitting or standing up straight. Instead, it is the actual and proper alignment of the parts of the body in relation to the spine, and the proper use of the body at all times. While slouching over at your computer, or your kids being hunched over a tablet screen, is not doing either of you any favors, it is not the primary contributor to your posture. Rather, ensuring your body is in correct alignment is the essential factor to this. At 1st Step Family Wellness, in Kirkwood, we try to drill this education point in. Sitting up straight is not going to correct your posture. Remembering to get routine chiropractic care to ensure your body is in proper alignment will! It’s often oversighted that even very young children can have misalignment issues. It is believed that as soon as a child is weight bearing, that improper posture can be detected, and show signs of misalignments. You might be thinking, “Yeah, it’s not like we were in an accident, or like my kiddo is doing heavy lifting. There’s no way she has any misalignments. Her posture has to be fine.” While that seems like a logical assumption, it is an incorrect assumption. How many times did your little tike fall on her bottom abruptly, obviously jarring her body upon landing? How was your birth? Well, even if all went smoothly, just the natural process of childbirth can wreak havoc on a baby’s body. Think of how they are born! There is quite a bit of twisting and contorting just to make it into this world. This age group starts to endure more injuries, even if minor, due to their activities. If your child is active in sports it is anticipated these injuries, or minor traumas to the spine will occur. Accidentally colliding into another soccer player while running full gusto is not only going to sting a bit, but it is also going to cause some misalignments without a doubt! Although I mentioned above that slouching isn’t the main cause of poor posture, it certainly doesn’t help. This age group tends to have more than their fair share of screen time too. Inevitably, we naturally sit or lie in positions that aren’t conducive to posture. Children also tend to lie on their stomachs when using electronics as well; which can be bad for your spine. To adjust to these habits, the body will typically begin to adapt to the improper alignment and cause postural deviations that you can see. These can include a tilting of the head, which may reflect a misalignment in the neck. A shoulder tilt might indicate a mid-back issue, and a tilted hip can mean a misalignment of the hip, sacrum or lower back. If a child’s foot is turned out or in, this can indicate a problem in the pelvic area. The scary part of this, is that often times these misalignments that form, do not cause pain. Not that we want them to be in pain, but because there is no pain it typically leads to problems compounding before any detection without regular chiropractic care. The same issues that occur with your older children also occur in this age group. Except now, they have been continuing with bad habits and injuries for a few years, and now the compounding effects can become visible to the eye. They may even cause pain at this point. 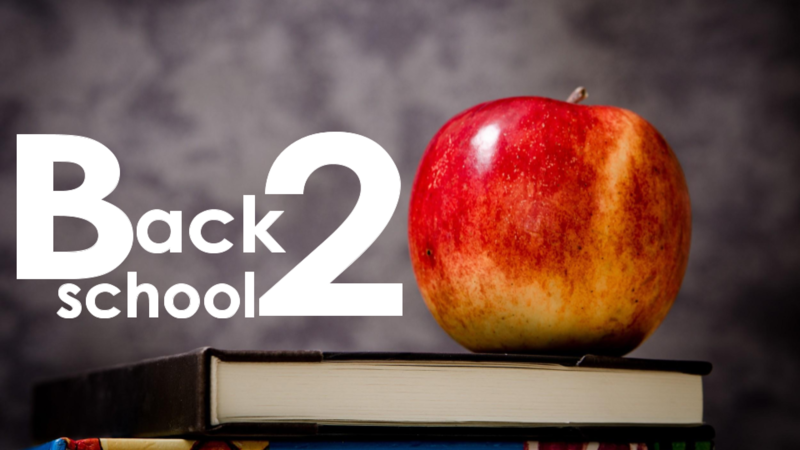 Often times, their backpacks have become the demise of their spine as well. Aside from the actual weight, they tend to wear their backpacks improperly; which only multiplies the harm being caused to their spines. Be sure to listen to your pre-teens and teens closely about discomfort and know they could be developing a problem that will only become worse and cause more problems over time. Pain may appear in the form of headaches, shoulder tension, or menstruation issues in girls. You think childhood issues have ventured into real-time problems for your teen? Just think about the compounding effect on you since childhood! Chances are you do feel at least occasional discomfort and shrug it off. However, your future (senior) self will thank you in multitude for correcting any deviations now. You don’t want to be the next, “Help I’ve fallen and I can’t get up” commercial, do you?! So how can you tell if you have spinal deviations? Step one – look at bottom of ears; if one is higher than the other, this is head tilt and a sign of a possible neck misalignment. Step two – look at the shoulders; they should be level, if they are not, shoulder tilt is a sign of a possible mid-back issue. When looking at a side view there are two signs of possible postural deviations or spinal misalignments. The first sign is the earlobes; are they directly over the shoulder or slightly forward? The second sign of a potential problem are shoulders hunched or rolled forward. If you see either of these signs it is wise to contact your current chiropractor, or 1st Step Family Wellness for an appointment. Concerns about your kiddos or teens? We specialize in pediatric chiropractic!